This is the South we are in the throws of Summer with months of glorious warm weather, and cool(ish) nights ahead of us. The days are longer, dress code requires little more than shorts and flip flops, and the possibilities of activities are endless. For months on end we get to simply enjoy the lazy days this season provides. Somehow school didn't get that memo. You know, the one titled "Summer: Take a Break!". It must have fallen somewhere in between "Hurricane Release Emergency Plan" and "Winter: What is that White Stuff?!" I might sound a little bitter, but I'm a southern girl at heart and we like our summers! Summer break officially ends for us next week. The end of July has been a whirlwind of back-to-school prep. School supplies, shoe shopping, hair cuts, after school activity registration - lazy has been taken right out of the equation. 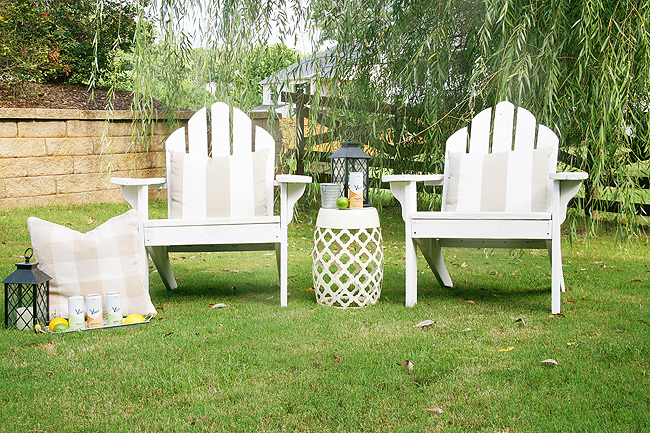 We're soaking up every last little bit of Summer we can! To kick off the weekend we had a pool play date with Carrie Beth and her crew, and then we spent the rest of it outdoors. While we grilled out for dinner, we reflected on how this was the best Summer yet! We went on multiple vacations, we celebrated holidays with friends, we cheered on our kids at the ballpark, we had the opportunity to spend multiple nights cheering on our hometown sports teams, we boated, we celebrated birthdays, and the list goes on and on. We sat there in my backyard lounging on my Adirondack chairs in the summer twilight drinking our new favorite cocktails, and came to the realization. We packed so much fun in those short weeks its no surprise we aren't willing to give it all up so quickly! Smiling at the sweet memories we've made, we clicked our canned cocktails together and cheers-ed to the epic summer of 2018. The cool, crisp sweetness of our drinks reminding us that we still had a little bit of summer to savor and enjoy. Even though summer might have to end, delicious tastes of summer don't have to! 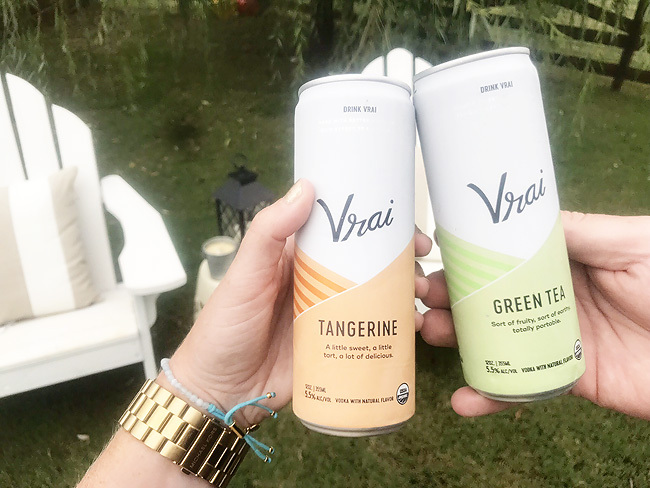 Somewhere along the way of our summer adventures we stumbled upon these Vrai canned cocktails. They are our new favorite go-to cocktails of choice. Not only because they are convenient to tote from the backyard to the boat (and everywhere in between! ), but because they are YUMMY! 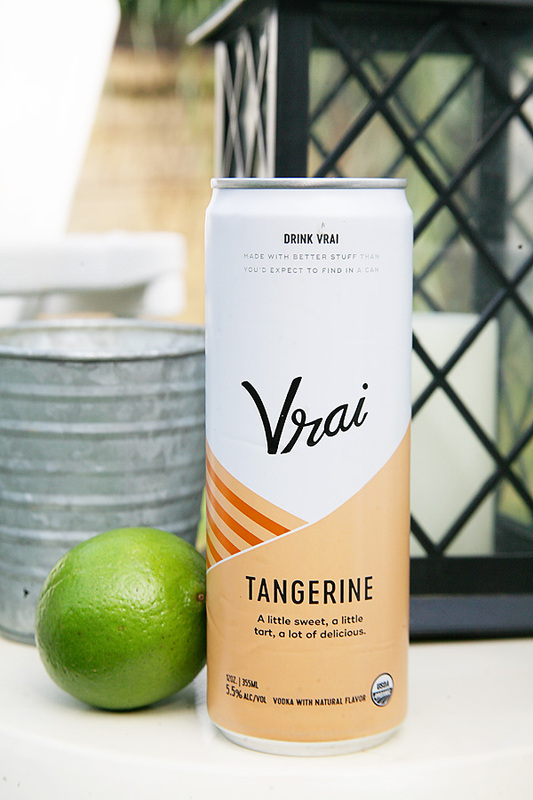 It's like drinking summer in a can. Now that I can get behind no matter what season Mother Nature tells me it is. 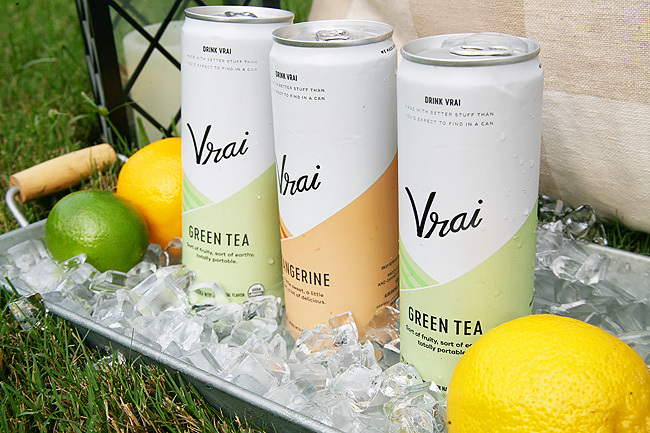 Vrai cocktails are all certified organic, and use all natural and gluten-free ingredients. They also aren't malt based like other canned cocktails. 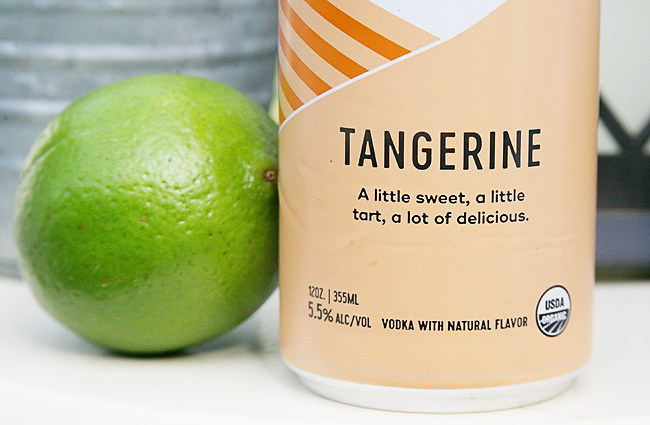 They are vodka-based, which in our opinion adds to the flavor and their delicious taste! 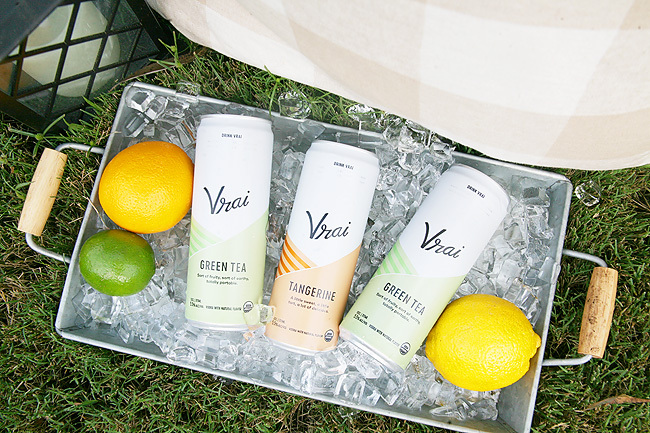 There are three flavors available: Tangerine, Green Tea, and Paloma. The Tangerine is my favorite, but they are all quite tasty! Healthier for you cocktails with the convenience of not having to be mixed, and the portability of a can? We are SO IN! Getting the chance to enjoy the sweet tastes of summer and it's memories all throughout the year? I'll cheers to that! What has been your favorite memory this Summer? 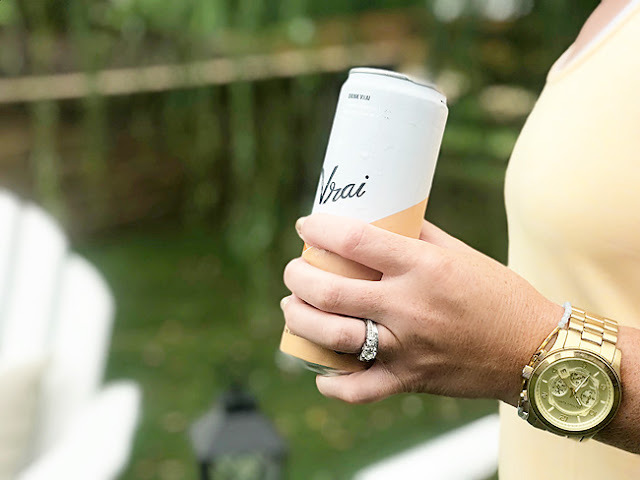 ** Thank you so much to Vrai for sponsoring this post. All thoughts and opinions are our own.